If you're big on soups and you enjoy fresh garlic bread, this dish will likely cause you to do a little jig before going for seconds. 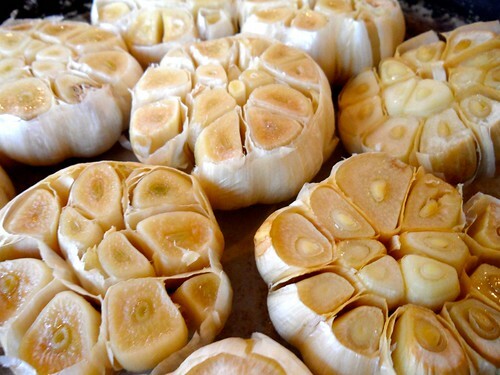 Garlic is a surprisingly good source of vitamin C, which partially explains why it's long been thought to boost immune system strength. 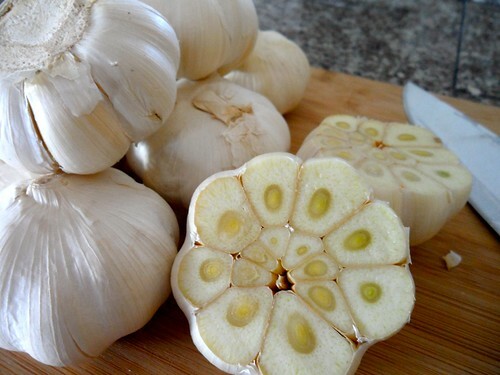 Garlic is also rich in organosulphur compounds that are known to promote healthy blood flow throughout the body. 1. Preheat oven to 325 degrees Fahrenheit (165 degrees Celsius). 6. 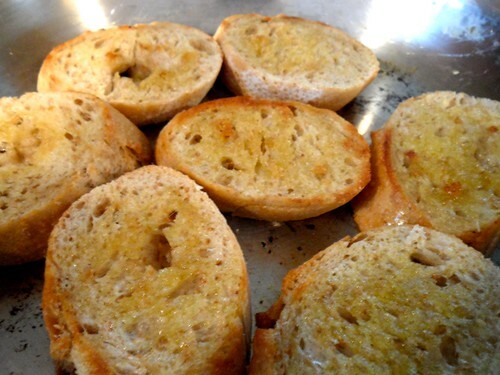 Slice baguette into 1/4 or 1/2 inch slices, then toast in a light coat of olive oil over medium heat in a large pan - toast both sides until baguette slices are light golden brown and crispy. Set toasted baguette slices to the side. 7. 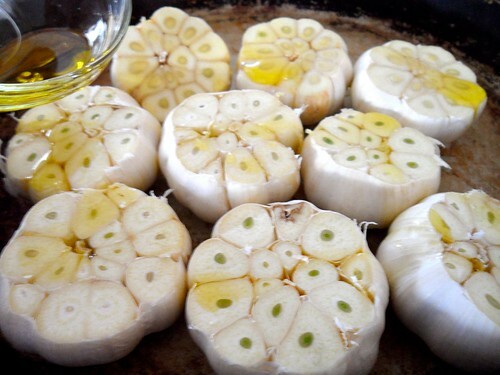 Combine roasted garlic flesh and 6 cups vegetable or chicken broth in a pot and warm over medium heat for 3-5 minutes, stirring often. 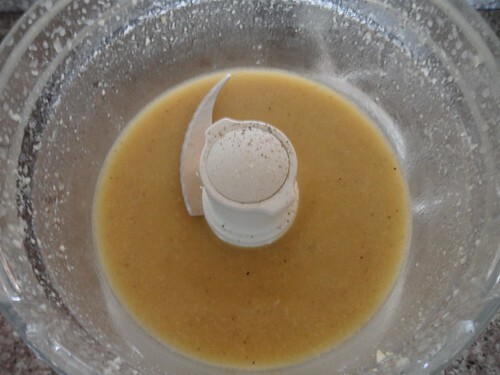 Use a hand-held blender or a food processor to bring the broth and garlic together into a substantive soup. Season with sea salt and pepper, to taste. 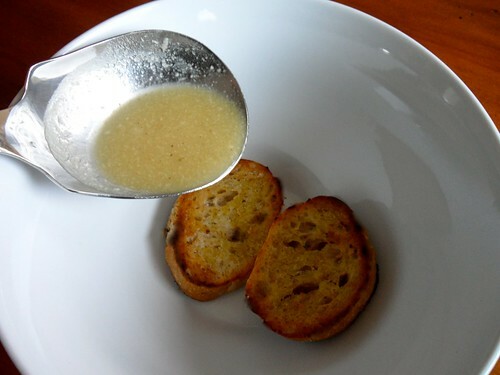 To serve, place one or two toasted baguette slices in each bowl and ladle garlic soup over them. 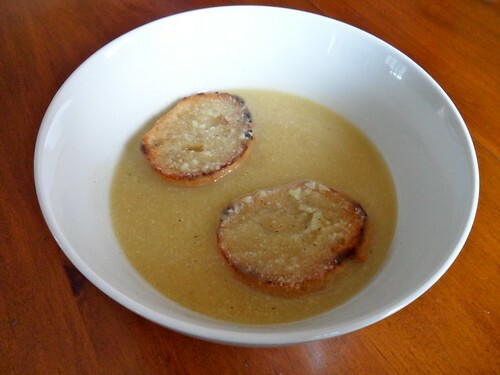 Enjoy this heavenly roasted garlic soup with toasted baguette slices. Note: This soup goes beautifully with creamy room temperature avocado slices, so if you have an avocado on hand, include a few slices with each serving. It looks yummy. 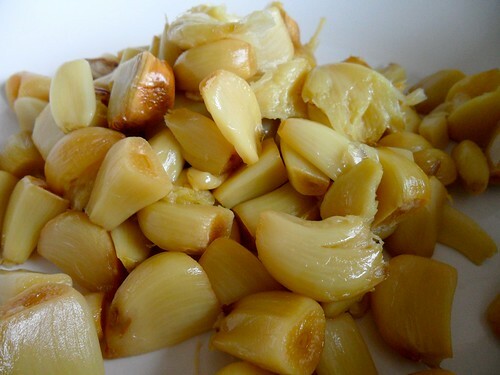 But have you tried just eating roasted garlic just straight...by itself? It's really nice. Not sure if soup could improve it. 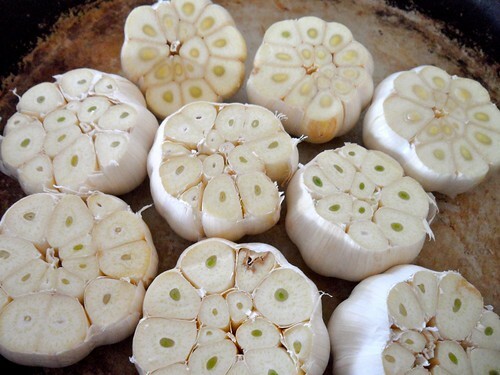 Of course you'd have to grow your own garlic to have this much garlic available to eating very often. Just wondering...is the vitamin C damaged by the roasting? My husband, toddler and I all woke up feeling under the weather this morning, so I decided to try your soup recipe. It was delicious and even my little boy liked it. 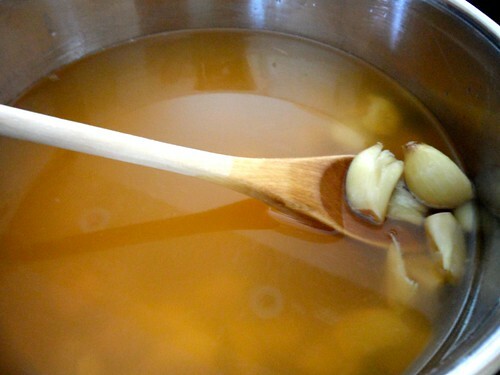 I think a combination of some solid rest today and your soup will have my whole family feeling well in no time! Thank you!